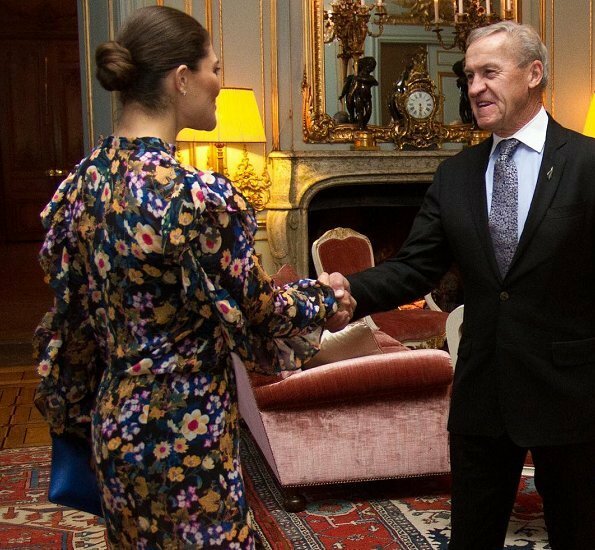 Crown Princess Victoria of Sweden met with representatives of the "Sweden Rare Diseases Association", who visited Stockholm Royal Palace. Swedish Association of Rare Diseases (Sällsynta diagnoser) is a national alliance for different groups of rare diseases. The organization represents more than 50 different diagnoses and 12 000 individual members. 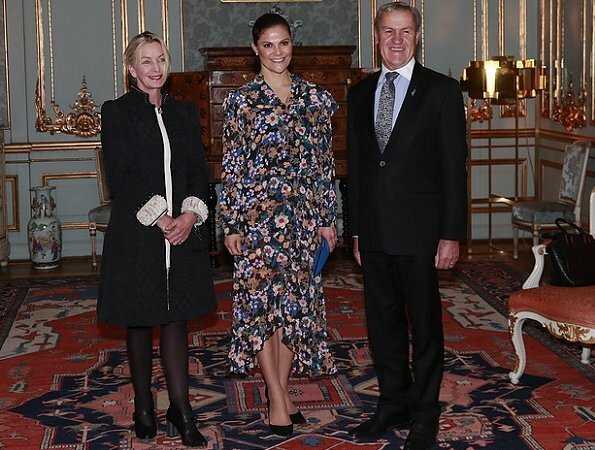 Crown Princess Victoria of Sweden accepted the Speaker of the New Zealand House of Representatives, Mr David Carter at the Royal Palace. A floral I can get behind! I would bring in the flounce of the sleeves by a cm. A beautiful dress, perfect for autumn. Hm. 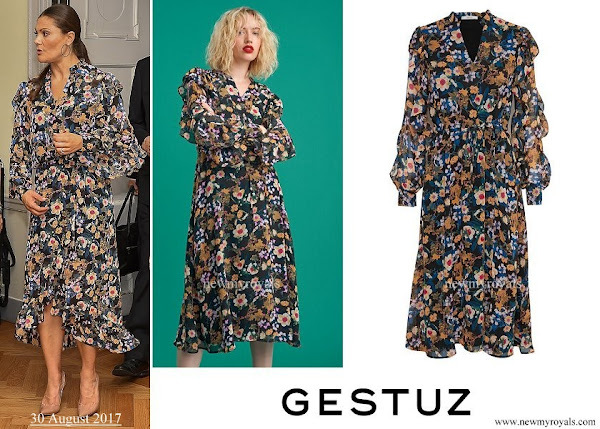 I don't mind the dress but it's not as nice as the similar one worn by Letizia. And it somehow doesn't work on Victoria.